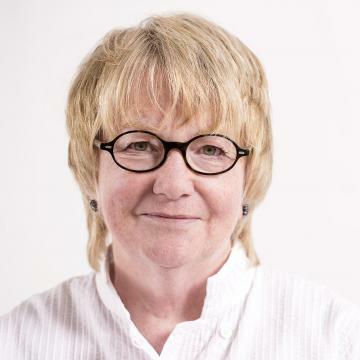 Seona Reid retired as Director of the Glasgow School of Art in August 2013, having served since September 1999. Her time at the Glasgow School of Art was marked by a notable enhancement of the School’s research profile, a focus on internationalisation and major postgraduate growth. It also saw significant redevelopment of the School’s estate, including an £8.7million refurbishment of the famous A-listed Mackintosh Building and a new £50m building for design, exhibitions, and cross-School technical and digital workshops designed by award-winning US architect Steven Holl, which now bears her name. Having held many positions in public life, Seona is currently Chair of the National Theatre of Scotland, Chair of Cove Park, an artist residency centre in Argyll, a trustee of the Edinburgh International Cultural Summit, Deputy Chair of the National Heritage Memorial Fund and Heritage Lottery Fund, a trustee of the Tate, and Scottish Commissioner to the UK-US Fulbright Commission. Her professional career has spanned performing arts, arts funding and development, and higher education in art, design and architecture. Posts have included nine years as Director of the Scottish Arts Council and before that Assistant Director (Strategy and Regional Development) of Greater London Arts, Director of Shape, a pioneering arts and disability organisation, Head of Public Relations for Ballet Rambert and Business Manager of Lincoln Theatre Royal. Non-executive roles in recent years have included serving as a member of Universities Scotland Executive Committee, a member of the UK Government Advisory Panel for selection of the 2017 UK City of Culture, a commissioner on the Scottish Broadcasting Commission, Vice Chair of the Lighthouse Centre for Architecture, Design and the City, and on the Boards of the Arches and Suspect Culture theatre. Seona is a Fellow of the Royal Society of Arts and was recently appointed a Fellow of the Royal Society of Edinburgh. She has honorary degrees from several universities including Glasgow and Strathclyde for services to the arts in Scotland, and became an honorary professor of the University of Glasgow in 1995. She was awarded a CBE in 2008 and became a Dame in the 2013 New Year Honours for services to the creative industries.